You go through the ticket gates and collect your ticket. Now it’s time to find your platform and board the correct train. If you’re in a station that serves only one line, it’ll be simpler to get to the right platform. However, if you’re in a station that provides access to multiple lines, you’ll have to pay close attention to the signs in order to get to the right platform. Stations serving more than one line can be very big and you might need to walk a few minutes to get from point A to point B. Sometimes, you’ll even have to cross an entire platform that serves another line before reaching the one you are aiming for. But don’t worry! They do a great job in providing directions so you are not likely to get lost (at least, not all the time). You’ll see signs with the direction you have to go, as well as the distance you have to walk, like in the picture below. Once you approach the platform for boarding the train, you will need to pay attention to the direction you are going to – so you don’t jump on the wrong train. Before getting to the platform itself, you’ll see information boards. When the platforms are in the middle, and the trains are running in the edges (right and left), the entrance to the platform will be the same for both directions. 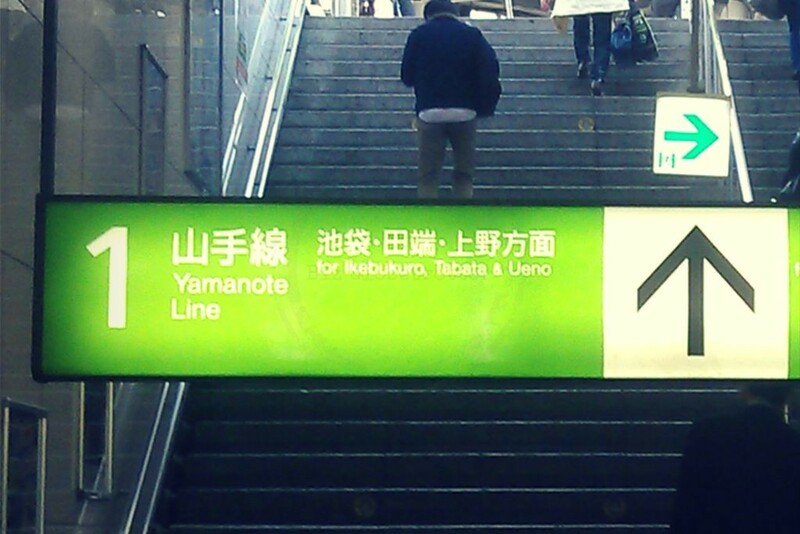 Usually, there are information boards like the one below. The station where you are is indicated in red. The train on the right edge will travel to stations indicated on the right side of the board. 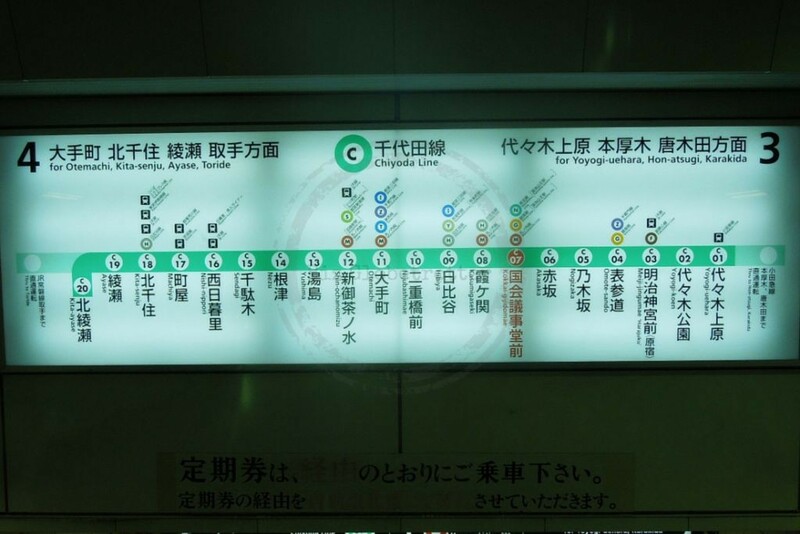 The train on the left will travel to the stations indicated on the left side of the board. When the platforms are in the edges and the trains are running in the middle, the entrance to the platforms will be separated from each other. In that case, you will see signs like the one below. 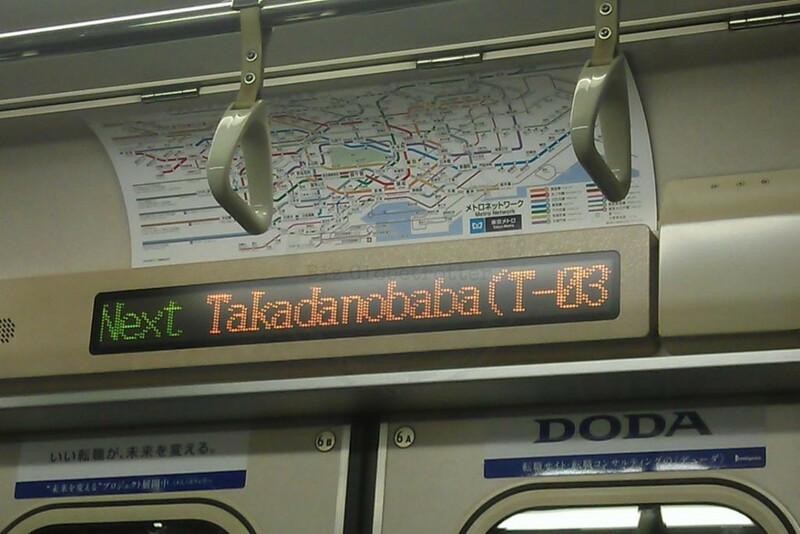 They indicate the name of some of the main stations along the line in that particular direction. 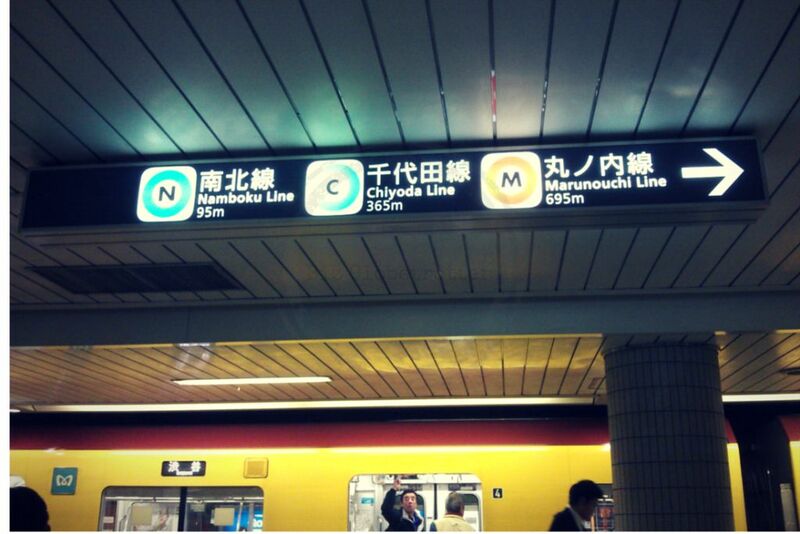 If you have a map, you can easily find out which stations are in the same direction you are boarding. 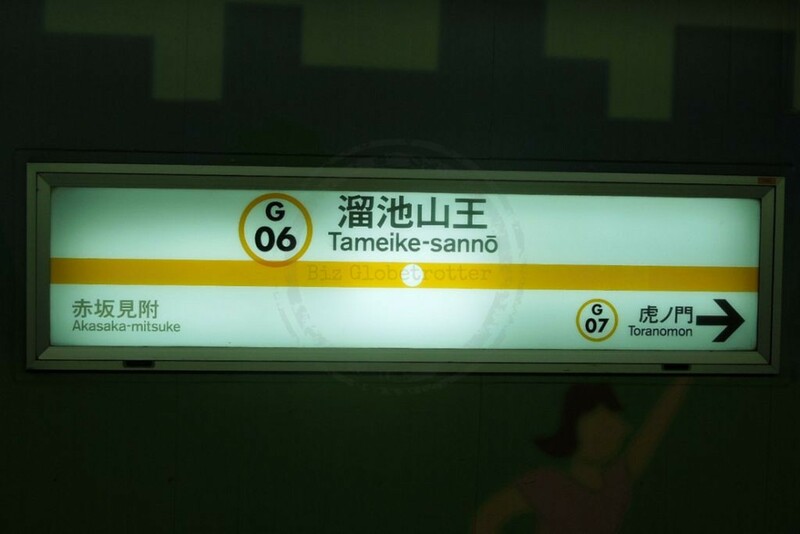 At the platform, you will also be able to see signs with the name of the station where you are, the name of the previous station and the name of the next one. That will help you to confirm you are in the right spot. 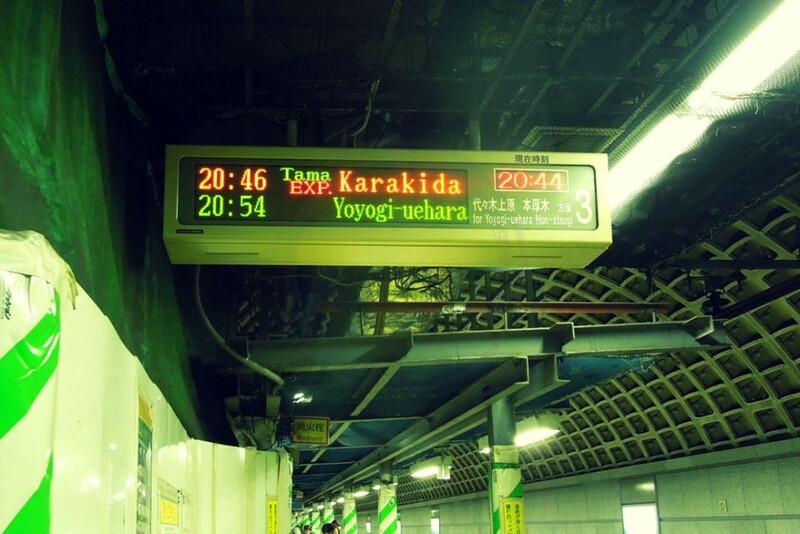 In some platforms you’ll see electronic boards indicating the destination of the next train, as well as the time of arrival. It’s worth checking these information boards. Some platforms will serve trains going to different locations, as well as regular and express trains. Some lines have express trains that don’t stop in every single station along that line. And maybe it won’t stop at your destination. It happened to me once: I boarded a train without noticing it was an express train, and it didn’t stop at the station I needed it to. That usually happens in a few stations and lines, specially when you are travelling outside the main core area of Tokyo or during rush hour. On the platform, you will see signs in the floor pointing to the location where doors open. In Japan people will line up to get inside the train. Yes, it might seem logical for you, but in many countries that doesn’t happen (believe me). Some platforms will have gates that will only open when the train stops at the station. 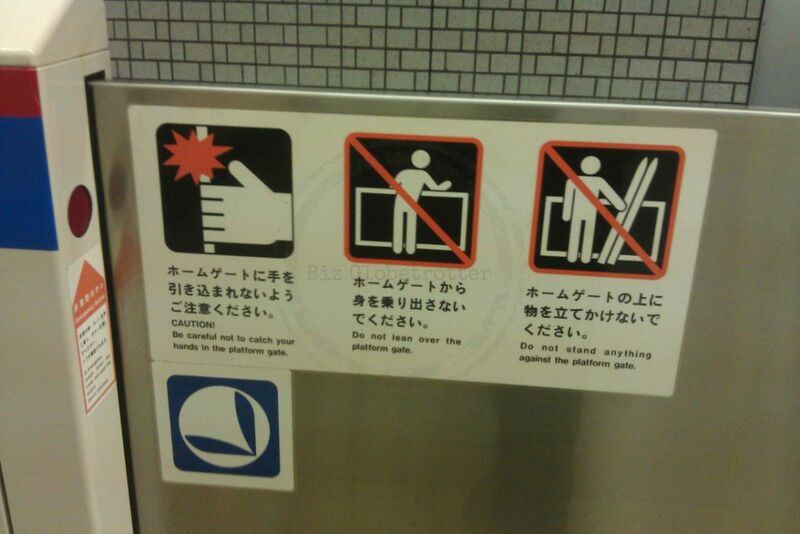 Do not run to catch the train. You may cause an accident and get hurt. 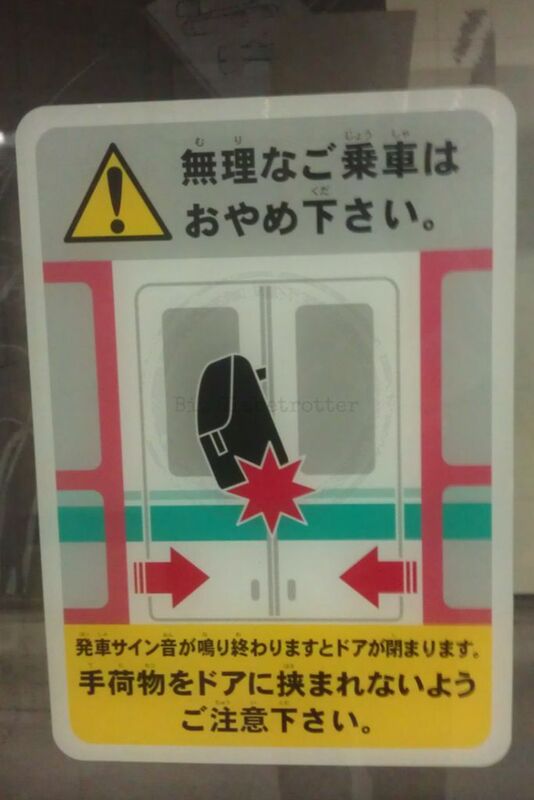 Safety: Do not run to catch the train. Wait for people to get off the train first, before boarding. – It is prohibited to smoke inside the trains and the stations. 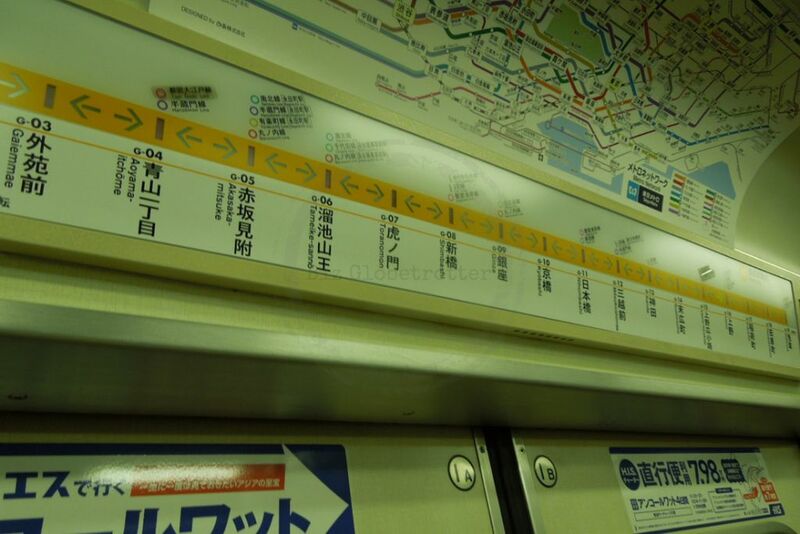 Inside the trains you will find the map of the line with the respective stations. 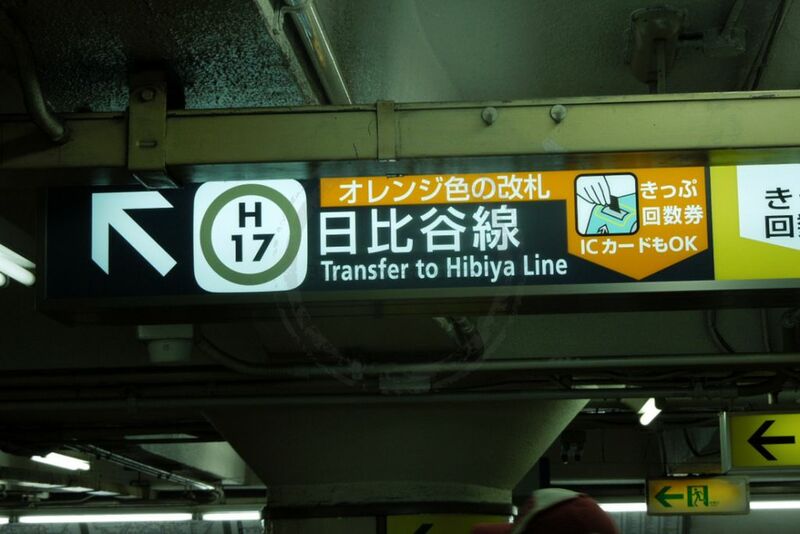 Some trains will have displays that indicate its direction and which station the train is approaching. New trains have electronic boards with lots of information, such as travelling time to the stations along the line, door opening side, station maps with indication of exits, escalators and elevators. All recorded announcements are provided in both Japanese and English. 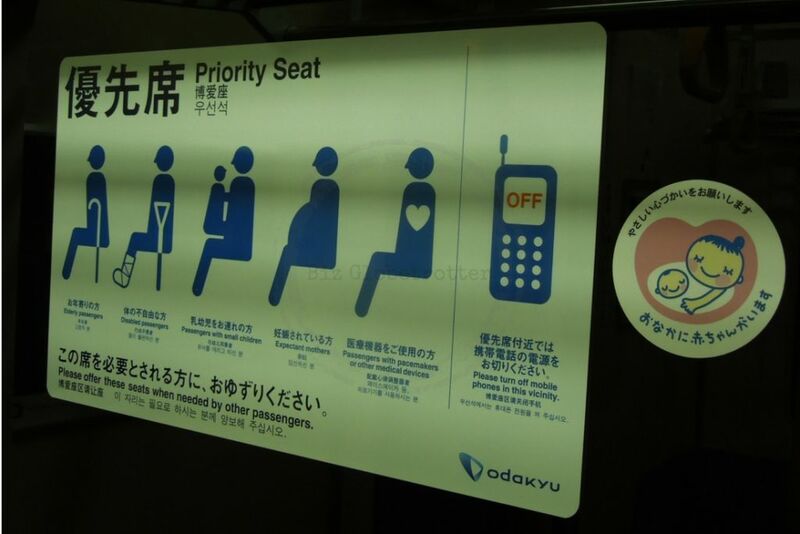 In case of malfunction, train stop, delays or emergencies, information will be provided by the operator (unfortunately in Japanese only). If you are transferring to another line: when you arrive at the transfer station, follow the directions to the line you are looking for. 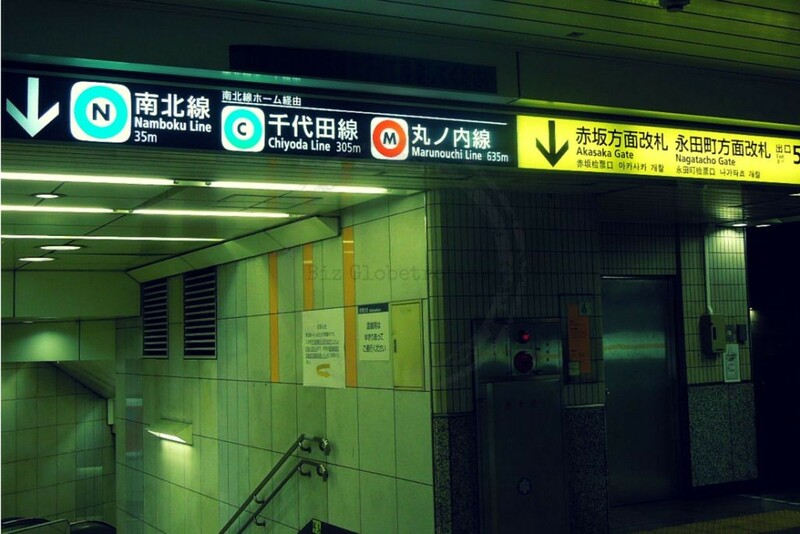 The signs will guide you through the way and even show the distance to the platform, as you can see in the pictures below. 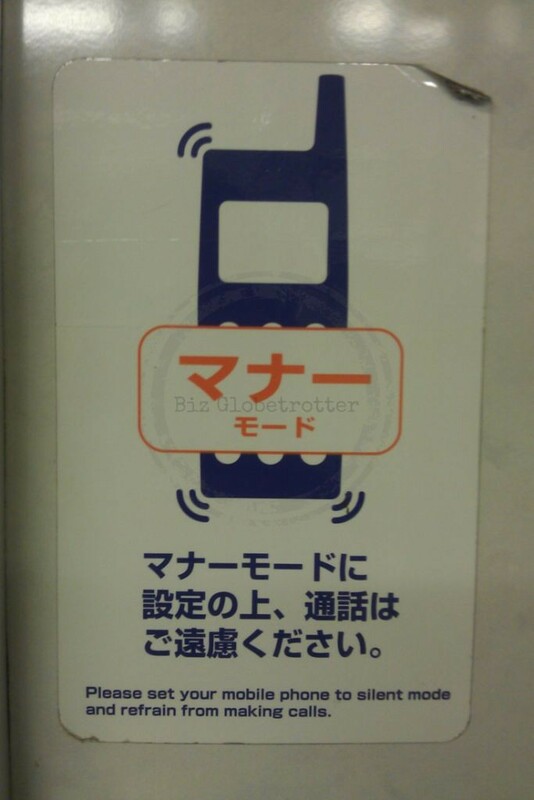 When transferring to another line in some big stations, you will need to go through the ticketing gates. 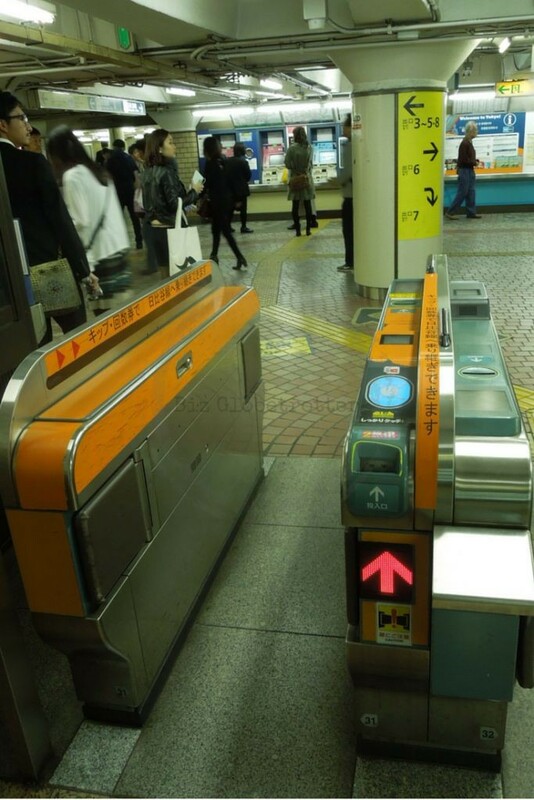 In that case, you’ll see some dedicated ticketing gates in orange color. Those gates will return your ticket, so that you can board again in the other line. Take a look at an example below. Next week we will have the last post of this series. We will talk about how to plan your way out of the station. Thank you for visiting and see you then!